Updated 4:40 p.m. | Political reporters have a fever and the only prescription appears to be fundraising numbers. 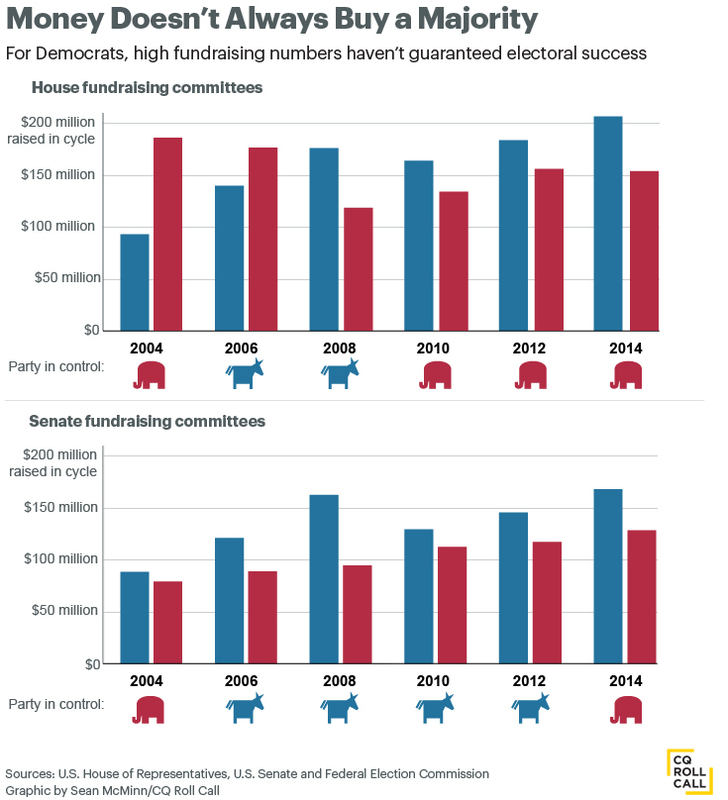 Last week, the Democratic Senatorial Campaign Committee announced it raised $3.8 million in October, $1.5 million more than the National Republican Senatorial Committee, according to a Friday afternoon email from the DSCC with a link to an article with the totals . Clarification: An earlier version of this story contained a chart which misrepresented control of the Senate in 2006. Related: NRCC Posts Strong October Fundraising After Boehner Steps Down Roll Call Race Ratings Map: Ratings for Every House and Senate Race in 2016 Get breaking news alerts and more from Roll Call in your inbox or on your iPhone.